Kim Kardashian loves nothing more than a good cosmetics collaboration. The reality TV star and beauty entrepreneur has teamed up with Argenis Pinal, the winner of the debut season of the TV show "Glam Masters," on a makeup collection that launched at the Beautycon Festival in New York over the weekend. The collection, which will also drop on kkwbeauty.com today, comprises five different "Creme Color Sticks" in vivid turquoise, copper, burgundy, gold and matte black shades. 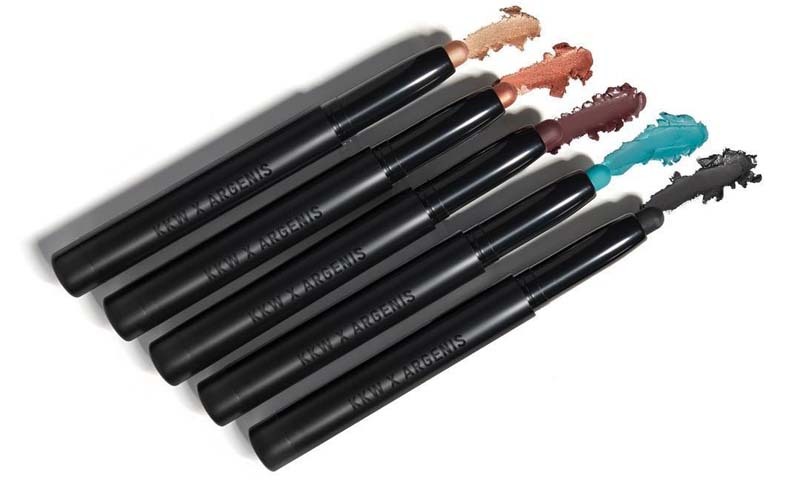 The highly-pigmented sticks claim to offer long-lasting, blendable coverage that can be used alone or over eye makeup. The launch comes weeks after Kardashian unveiled her debut collaboration with Mario Dedivanovic, her long-term makeup artist. The "KKW X Mario" series, which went on sale earlier this month, featured a series of eyeshadows and lip colors based on their creative partnership and inspired by their favorite looks from over the last 10 years. The star has also previously joined forces with younger sister and fellow cosmetics entrepreneur Kylie Jenner on a limited edition liquid lipstick collection with Kylie Cosmetics. "Glam Masters" ran for eight episodes on the TV channel Lifetime, and Kardashian was listed as an executive producer. The show, which was hosted by actress and activist Laverne Cox, saw beauty influencers put through their paces with a series of challenges, and involved a star-studded judging panel that included Dedivanovic, YouTube beauty influencer Kandee Johnson, and fashion editor Zanna Roberts Rassi.